When will I feel better after taking Gaviscon? Can I drink alcohol with Gaviscon? Can lifestyle changes help with heartburn and indigestion? How often should I have Gaviscon? How long will I take Gaviscon for? What if I forget to take Gaviscon? Gaviscon is a type of medicine called a ‘reflux suppressant’ that is indicated for the treatment of heartburn (acid reflux) and indigestion. Acid reflux (heartburn) is when stomach acid travels up your food pipe (esophagus) and gives you a burning feeling in your chest. Reflux suppressants like Gaviscon contain alginic acid which is made from seaweed. Alginic acid makes a protective foam layer that floats on top of the contents of your stomach. This stops stomach acid escaping into your food pipe. Gaviscon also contains an antacid that neutralizes excess stomach acid and reduces pain and discomfort. It’s usual to take Gaviscon after meals and at bedtime. It’s safe to take paracetamol at the same time as Gaviscon but don’t have ibuprofen or aspirin with it. If you’ve bought Gaviscon without a prescription, do not take it for longer than 7 days without checking with a doctor. 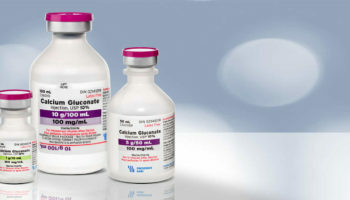 There are many different types of Gaviscon. Ask your doctor or pharmacist which one is best for you. If you’ve bought Gaviscon to treat yourself and you don’t feel better after taking it for 7 days, tell your doctor. They may want to do tests or try a different medicine. Alcohol doesn’t interfere with the way Gaviscon works. But drinking alcohol makes your stomach produce more acid than normal. This can irritate your stomach lining and make your symptoms worse. Gaviscon doesn’t usually cause problems when you take it for a long time. Tell your doctor if you need to take it regularly for more than a week. Antacids include Tums (calcium carbonate), Maalox and Milk of Magnesia. These relieve indigestion and heartburn by neutralising the acid in your stomach. They work quickly and make you feel better for a few hours. They’re ideal if you occasionally get stomach acid problems. You can get antacids from pharmacies and supermarkets. Proton pump inhibitors (PPIs) reduce the amount of acid your stomach produces. Most PPIs are available on prescription only – they include omeprazole and lansoprazole. You can buy the lowest strength omeprazole and esomeprazole from pharmacies. Histamine antagonists (also called H2 blockers) reduce the amount of acid made in your stomach, but they do this in a different way to PPIs. For example, your doctor might prescribe ranitidine (Zantac), cimetidine (Tagamet), famotidine (Pepcid) and nizatidine (Axid). You can also buy famotidine and ranitidine from pharmacies. If your doctor has prescribed a proton pump inhibitor (PPI), such as lansoprazole, to reduce the amount of acid your stomach produces, you can take Gaviscon with it. But take these two medicines separately, leaving a gap of 2 hours between them. If you’ve taken Gaviscon regularly for a long time, talk to your doctor before you stop taking it. Stopping suddenly may mean that the acid stomach contents come up into your food pipe and make your symptoms come back. Yes, there are similar medicines to Gaviscon. Examples are Acidex (Calcium carbonate + Sodium alginate + Sodium bicarbonate) and Peptac (Calcium carbonate + Sodium alginate + Sodium bicarbonate). Sometimes, if Gaviscon doesn’t work or agree with you, your doctor or pharmacist may suggest another reflux suppressant. Like Gaviscon, you can buy Peptac or Acidex from pharmacies and supermarkets. Doctors can only prescribe some kinds of Gaviscon – not the full range available from pharmacies and supermarkets. Yes, taking Gaviscon shouldn’t affect your ability to drive or ride a bike. phenylketonuria (PKU) is a rare but potentially serious inherited disorder. People with Phenylketonuria (PKU) can’t break down the amino acid phenylalanine, which then builds up in the blood and brain. This can lead to brain damage. Tell your doctor if you’re trying to get pregnant, are already pregnant or if you’re breastfeeding. If this doesn’t work, your doctor or midwife may recommend a medicine like Gaviscon. Gaviscon is safe to take while you’re breastfeeding. However, if your baby is premature or has health problems, check with your doctor first. For safety, tell your doctor or pharmacist if you’re taking any other medicines, including herbal remedies, vitamins or supplements. It’s safe to take paracetamol at the same time as Gaviscon. Do not take other painkillers, like ibuprofen or aspirin, with Gaviscon without talking to your doctor or pharmacist first. These can make your symptoms worse. Simethicone is used to treat the symptoms of gas such as uncomfortable or painful pressure, fullness, and bloating. It’s usual to take Gaviscon up to 4 times a day. It’s best to take it after meals and at bedtime. This is usually when the pain and discomfort is worst. If your doctor has prescribed Gaviscon, take it when they tell you to. The dose depends on the type of Gaviscon you’re taking. Follow the instructions on the packaging or, if your doctor has prescribed it, take the dose they tell you to. If you often have heartburn or indigestion, take Gaviscon regularly after meals and at bedtime – up to 4 times a day – whether or not you have symptoms. If you’ve been taking Gaviscon for more than 7 days and you’re still feeling uncomfortable or in pain, talk to your doctor. Depending on the reason you’re taking Gaviscon, you may only need it when you have symptoms. Or you may need to take it for a few weeks or months – or for many years. If you usually take Gaviscon regularly but forget to take a dose, don’t double your dose the next time. Just leave out the missed dose and take your next dose as normal. Taking too much Gaviscon by accident may cause side effects such as wind and bloating (when your tummy feels tight and full of gas). This is unlikely to cause you any harm. If you are worried, talk to your doctor or pharmacist. Dispense product only by spoon or other measuring device provided. 2-4 teaspoonfuls (10ml to 20ml) 4x a day for Extra Strength, or as directed by a doctor. Inactive ingredients (Extra Strength): alginic acid, calcium stearate, flavor, sodium bicarbonate, and sucrose. May contain stearic acid. Contains sorbitol or mannitol. May contain starch. Gaviscon is a very safe medicine. Most people who take it don’t have any side effects. If you do get a side effect, it’s likely to be mild and will go away when you stop taking Gaviscon. Some types of Gaviscon may be more likely to make you feel sick or cause vomiting, constipation or diarrhea because of their ingredients. Talk to your doctor or pharmacist if you notice any side effects that bother you or don’t go away. In very rare cases, it’s possible to have an allergic reaction to Gaviscon. This happens in less than 1 in 10,000 patients. If you have an allergic reaction stop taking Gaviscon and contact a doctor straight away.